Kalman Yeger has won the race against Yoni Hikind to replace outgoing Councilman David Greenfield (D-44th) – representing parts of Boro Park, Midwood, Kensington, Bensonhurst and Gravesend. Kalman Yeger began his career in public service at the age of 19 as a community liaison and assistant to Councilman Lloyd Henry. Since 2010, he has served as a Senior Advisor and is currently Counsel to New York City Councilman David Greenfield. He has advised countless public officials, including Councilman Alan Maisel, former Council Members Lew Fidler, David Yassky and Michael Nelson, Senator Simcha Felder, Borough Presidents Melinda Katz and Eric Adams, and former Borough President Fernando Ferrer. MAZEL TOV TO KALMAN YEGER!!!!!!! WE ARE SOOO EXCITED!!!!!!! Competence over nepotism. We have a City Councilmember who we can be proud of. I predict we’ll see Kalman in Congress in a few years. The voters in Boro Park and Flatbush overwhelmingly rejected Yaffed and its cronies. Mazal Tov Kalman! It’s time that a “heimish panim” run for the AD48 Assembly seat. After Hikind’s meltdown last week and continuing questions regarding his financial contributions to mosdos that employed his Jr. , perhaps this is hopefully the beginning of the end of Hikind as a political factor in NYC politics. Time for change to a new political leaders who view their job as serving NYS constituents, not using the Assembly as a PR vehicle for their personal agendas. GadolhaTorah, you’re right, for a change! More like cronyism over nepotism. Hmm, I wonder what YWN thinks of this? 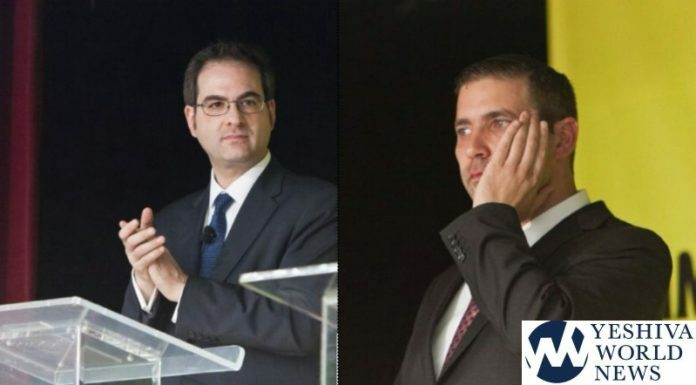 From what I read, it was a very nasty, contentious race by two frum candidates & their supporters. But watching from the sidelines, it seems to me that cronyism, especially when Mr. Greenfeld will be gone, IS preferable to nepotism. Hatzlacha to Mr. Yeger. Now fight for your constituents! What a waste of money, probably all special interest money, who wanted both Hikinds in their pockets. Let me ask you, how would you respond if any elected official Wil make such a statement? Wouldn’t you say he is a anti-semit? Maybe for the next election with Jew vs. Jew – e/o should try to be positive. The election results last night in a variety of jurisdictions, both for individual candidates and policy referenda, show a modest desgree of pushback against the vulgar and sometimes hateful politics of the Trumpkoffs. Hikin acted as if he had entitlement to use his elected office w/o regard to the norms of elected office. Running off to EY to show “solidarity” is arguably a one-time event not an annual photo -op . Hopefully Daddy Hikind will get the message to the family and now resign.